Webmin is web-based administrator's tool that can manage many aspects of the system. After installation, we can manage our machine's resources, the server applications running on it, set up cronjobs, just to name a few. It comes with it's own http server, no additional container or webserver required. The rich function set is accessible trough a web interface, so all we need is a browser to manage our system remotely. 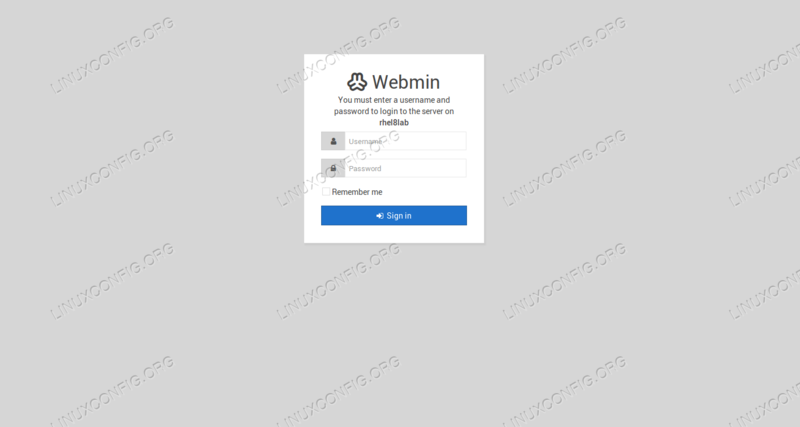 In this tutorial we will install Webmin on Red Hat Enterprise Linux 8, add the necessary service file for easy management, and log in to the WUI (Web User Interface). The only thing needed by Webmin is some perl packages. We will work as the root user, and Webmin need to run as root, to be able to manage everything. After the module is installed successfully, we can exit cpan, we will not need it for now. We invoke the setup script, and need to answer a few questions. The argument given here is the target directory where Webmin will be installed. This can be anything that is convenient. We'll leave everything on the defaults for the purpose of this tutorial. Webmin does not support being started at boot time on your system. Notice that RHEL 8 is too new for this version of Webmin, and so the automatic start at boot time is not yet supported. We will solve that with systemd. Keep in mind that the setup script executed in the previous step also started the Webmin service, which is not in the realm of systemd at the moment. Created symlink /etc/systemd/system/multi-user.target.wants/webmin.service -> /etc/systemd/system/webmin.service. And access this rich tool from a browser, by entering http://<name-or-ip-address-of-the-machine>:10000 to the address bar of the browser. We need to provide the admin username and password we specified during setup, and we can start using our new management interface.